Small Business Entrepreneur Investor Opportunity: Established Mixed-Use Commercial Property For Sale on a prominent corner with strong traffic counts and good curb parking in front. 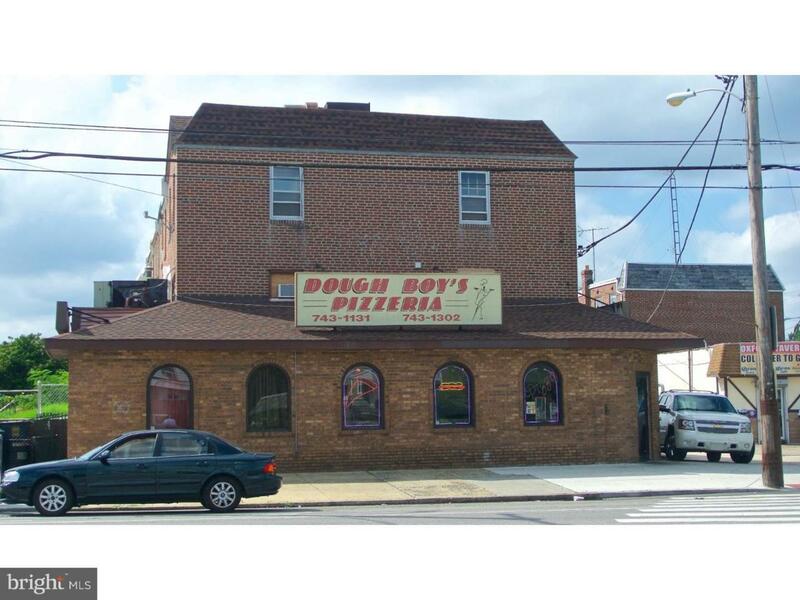 Located in the Oxford Circle Area of Philadelphia, this property has operated as a Residential Duplex plus a Pizzeria Luncheonette for over 30 years. Good for either owner-occupant or investor. No L&I Violations. New Fire Alarm system. The property contains one one-bedroom (Section-8) and one studio apartment - 1,120 TSF with hardwood floors, good kitchen, bath, electric heat; plus an 880 SF commercial space actively used as a pizzeria. Separate meters. 2018 Financials: Gross Annual Income: $33,960 net after 5% Residential Vacancy, 21% Expenses, NOI $26,862, c/c ROI is 19.66% after the mortgage on a 25% cash investment. DSCR is 2.02. This leveraged model generates an attractive 9.75% CAP at the asking price. Essentially, the residential income covers the expenses and a 75% LTV mortgage, so the commercial component is poised to perform as the money-maker. The ten-year commercial tenant is now on an M/M lease, so you are free to launch your preferred business. The sale is 'As-Is' for real estate only, no commercial fixtures. Eligible for FHA ownership. Manifest your dream! Call for additional details, property brochure or appointment.